I’m Craig Longenecker of Hereford Dental Health. My office is located at 16928 York Rd in Monkton. One of the best things about being a dentist is interacting with my patients. During initial dental consultations, I listen carefully to my patient’s short and long term dental goals. 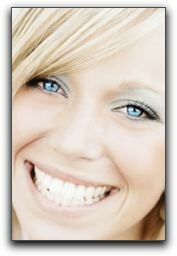 I never get tired of creating dramatic smile transformations for the best patients in Maryland! If you have been considering a smile makeover, let’s talk about your smile. Call Hereford Dental Health at 443-672-2548 to schedule a cosmetic dentistry consultation.